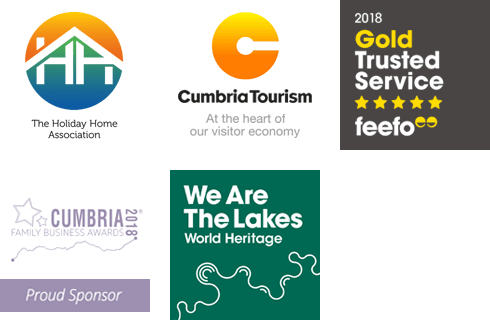 At Good Life lake District Cottages, we have a range of properties suitable for corporate accommodation and business needs. Whether you are looking for short term or long term stays, we have a large variety of properties in different locations and settings depending on your requirements. Why choose us for Corporate Accommodation? Self-Catering properties offer a great alternative to hotels or bed & breakfasts. Whether you're a small local company hosting a potential purchaser, or a large corporation looking for visiting staff accommodation, let us know what you're looking for and we will help find the right accommodation for you. We have town houses, detached houses and apartments within Cumbria, on the edge of the Lake District National Park. ...and we will help find the right accommodation for you. If you are looking for something in the central lakes area we can offer properties ranging from traditional cottages with fires to holiday cottages with a view, which are close to all of the attractions that the Lake District has to offer and with central access to the best walking, climbing and watersports locations. We have a variety of stunning properties available at Carus Green, which offer a true destination venue at Townhouse No 5, Townhouse No 6, Townhouse No 7, The Penthouse, The Golf Apartment and Carus House. These properties offer excellent facilities on-site including restaurant, bar, and state of the art golf facilities with the added bonus of half price green fees if you stay with us. This is a hidden gem less than 15 minutes from the M6 motorway, but also a stone’s throw from the very heart of the Lake District. With competitive rates, home from home comfort, and great facilities in stunning yet convenient locations, our properties offer the ideal accommodation solution for corporate travel managers. We understand your need to work with a reliable, quality provider. Whether this is your first time booking with us or you’re a long-term client, you can rest assured we will do everything we can to provide a seamless booking experience and to make your employees feel at home when they arrive. to offer accommodation options to suit individuals, or teams of people.